The wife and I honeymooned in Jamaica and on one of our trips outside of the Sandals Montego Bay Resort, we took a bus ride up into the mountains to tube down the Martha Brae River. You definitely were putting your life in someone else’s hands and there is a need for driver safety programs like DefensiveDriving.com’s in Jamaica. Turns out Jamaicans have a similar problem as US drivers, although I am not even insinuating that any US driver is near as crazy as those drivers in Jamaica. I read an article with respect to the Jamaican governments efforts to collect unpaid traffic tickets. Jamaica has been using a “paper based” ticketing system and is now converting to an automated, wireless system. Jamaicans owe $3 BILLION in unpaid traffic tickets and the Jamaican government, as all governments are right now, is trying to address how to collect these unpaid fines. This is a problem that is not unique to Jamaica and the current economic trends in the US have created a myriad of issues related to driving, traffic tickets, ticket dismissal and the LACK of revenue at a state and local level. For instance, here in Houston, Texas, the city is facing a $54M deficit, in part due to an estimated $1 Billion worth of uncollected fees, fines and tickets. Of the $1 Billion, $307 Million is owed to municipal courts in unpaid traffic tickets. The city and the Mayor are going to start sending demand letters to their “debtors” to try and get some of their money back. In South Carolina, two state representatives are taking a different tact, they have proposed a bill which proposes a speeding “tax” – hey at least they are being honest, which would be $150 for anyone who is caught exceeding the speed limit by less than 10 miles an hour. Today, a person issued a speeding ticket in SC for going 60 in a 55MPH zone would a pay $15-$25 fine and have two points assessed against their license. The two representatives, ironically one a Democrat and one a Republican, are proposing a $150 fine and no points be assessed against the license. Great in theory, not going to work in practice as most officers do not write tickets for less than 10 MPH over speed limit. 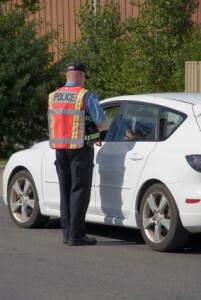 In Utah, they are proposing something completely different… SB110 proposes that out of state speeding tickets, would not count against a Utah drivers license with respect to points. So if you are driving in Colorado going 95 in a 55 and you get pulled over by Grand Junction PD… no worries, don’t pay the fine and nothing negative will happen to your drivers license points – which loosely translates into your insurance rates…unless you come back to Colorado and are pulled over again! The bill by the way, passed unanimously, 24-0 and has been sent to the House for its vote. I wonder how Utah’s neighboring states feel about that and what will it do to their unpaid traffic tickets? The best practice, outside of not going to Jamaica and driving anywhere, is to either take an approved defensive driving course for ticket dismissal and point reduction if you speed or simply do not speed. Not paying does not help anyone, the state, the city or the country for that matter, will find a way to get their money. Have a safe driving weekend and remember, the goal is to arrive in one piece without the interference of your neighborhood peace officer!